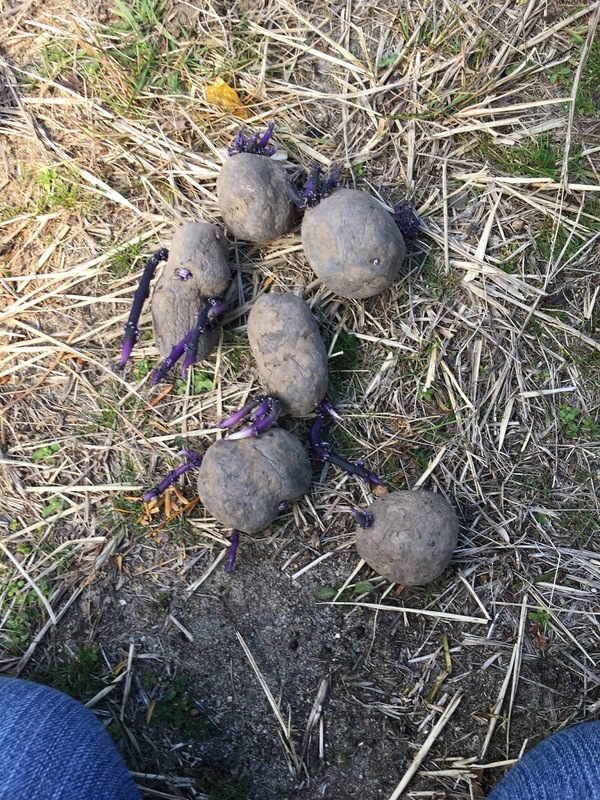 I'm a fan of purple potatoes. Not because I think they taste different, because I think all potatoes taste the same because my palate isn't refined enough for potato detection perfection, but because I think they are neat. 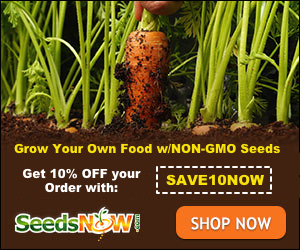 For the past few years, I've grown potatoes and I've learned that they pretty much will grow anywhere, under any circumstances and they leave behind microscopic seeds that grow even years after you are sure you've removed them from the area. 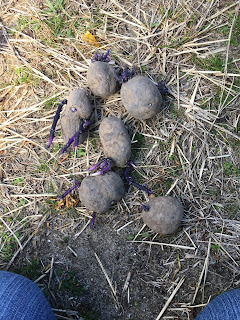 My foray into growing potatoes came from some potatoes that had sprouted eyes and were in edible, so I threw them into the ground and grew potatoes. 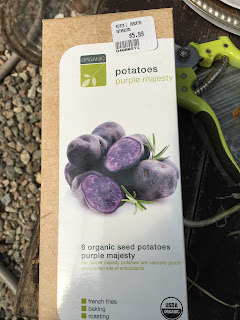 They say you can't do that with commercial potatoes because they put a chemical that keeps the potatoes from growing eyes, but I usually get organic potatoes so I was pretty sure they'd grow. And they did. Because I'm a rule breaker in the gardening and the more I don't follow the rules, the better things grow. 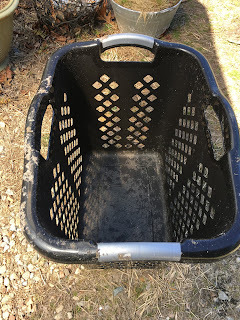 This week, I got it in my head that I wanted to use this laundry basket as another potato growing area. I've seen cages made of hardware cloth and and hay with soil stacked up. 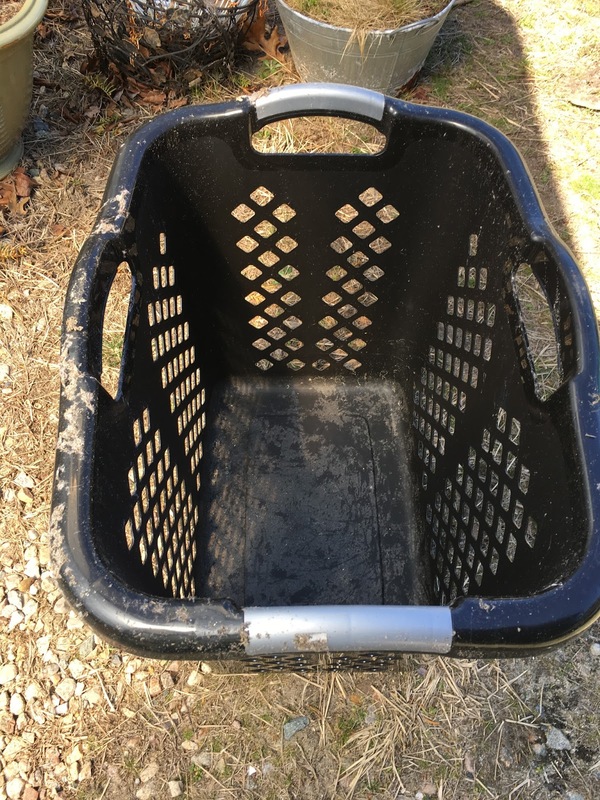 This basket seemed like it would do the same thing and I wouldn't have to make anything. It's deeper than it looks, so I can keep layering. I didn't have any potatoes on hand, so I went to the ag store and found this! 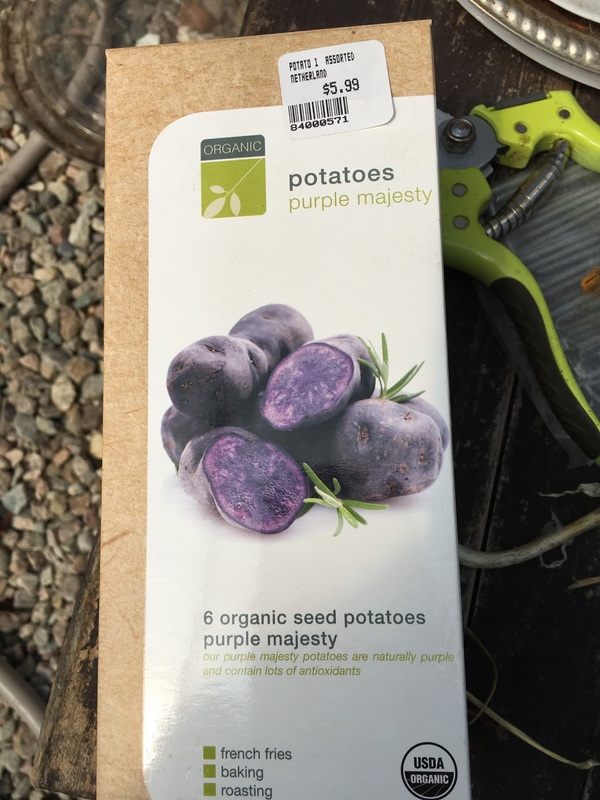 Organic purple potatoes from the US! Although the price tag says Netherlands, but the box definitely says US. It was the last box of purple potatoes, so I grabbed it. I hadn't planned on purple, anything would have been fine, but I was really pleased to find them. It came with 6 and since they had started sprouting, I was able to cut those into about 15. I threw them all in, added some soil and away we go! I didn't fill it, so I will be able to mound up a few times as they start to grow. I can't wait to see how these go!